This review is like 8 months late... I forgot to bring the lenses to my new apartment and left it at my mother's house. 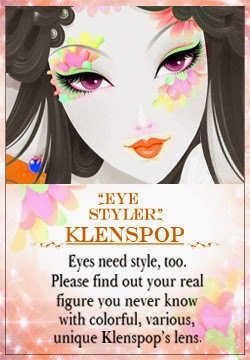 I'm so sorry Klenspop!! These are the Ellen Panda Blue lenses that Klenspop sent to me like 8 months ago and I'm kinda kicking myself for leaving them at my mum's house because they are actually really pretty! 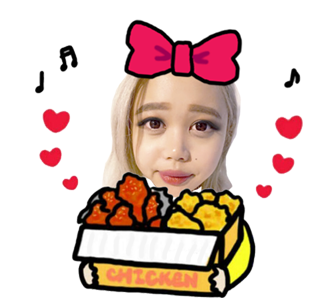 Also I apologise for being so consistently inconsistent with my photoshopping lmao since today I didn't do a lot because cbf. The holo effect is pretty obvious with this lens but it kind of looks a little strange up close since there's a brown ring around it. From a talking distance, it doesn't look weird. It gives off a nice shiny effect. I prefer these ones than the brown pair I reviewed earlier here. The shade of blue is super gorgeous and probably the best looking blue lenses I own. But again I don't think it personally suits me lol, it's still a nice shade of blue though! Just like the brown version, these lenses are very comfortable and I had no problem with them! It's really really enlarging, which isn't so much of a bad thing if you like the dolly eye effect! 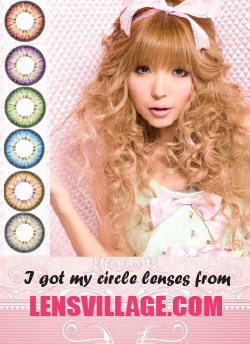 These are some really pretty lenses! And I wish I could do some other make up looks with them so they can suit my facial features considering my everyday eye makeup is usually catered for circle lenses that are smaller in diameter so these photos look kind of strange to me. lol. If you're interesting in grabbing a pair of these lenses you can check out the link here!